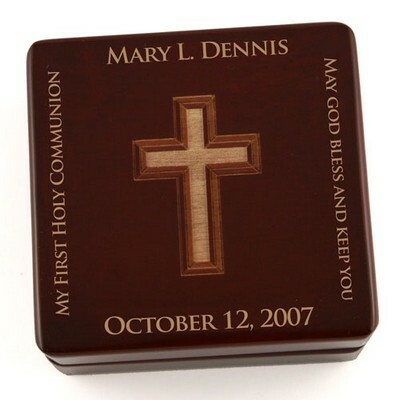 My Communion Personalized Cross Ornament serves as a spectacular 1st Communion gift for that young boy or girl. 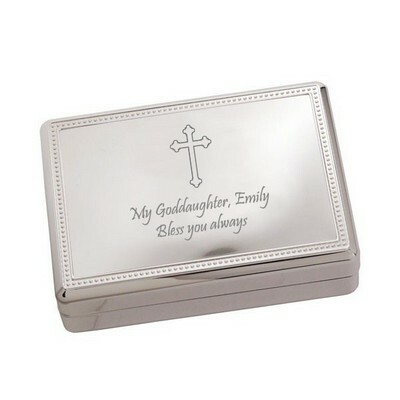 There are so many steps in life and making the right choices is only half of the battle. 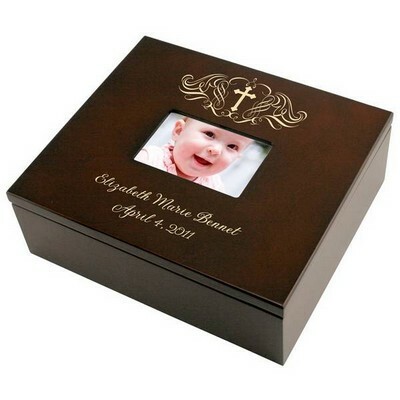 What an important time in one's young life to honor; the level of their commitment shown to their faith is expressed through this sacrament. 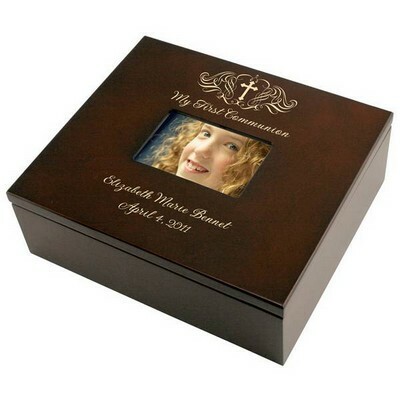 Your level of pride is expressed to them by giving them this unique present for first Communion. 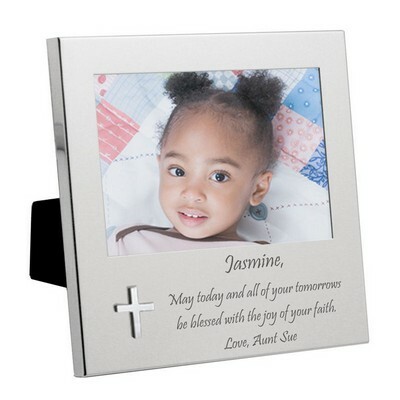 Show how joyful you are for them and their faith by giving them a gift they can hang on display every year. The Christmas season is such a special and important time, you are constantly reminded of your path and you celebrate your faith. Help deck the halls with this magnificent decoration for first communion. 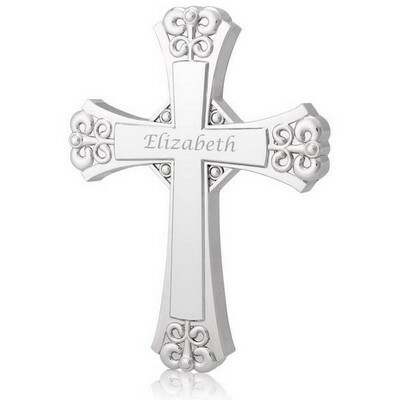 The glass cross ornament will gracefully hang on your tree from a golden ribbon. 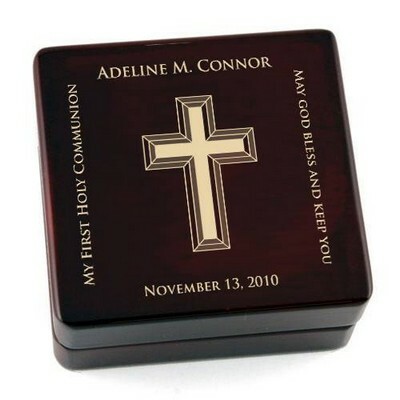 Measuring 3 1/2" x 4 1/2" and 1/8" thick, this cross is a truly wonderful and cheerful decoration. 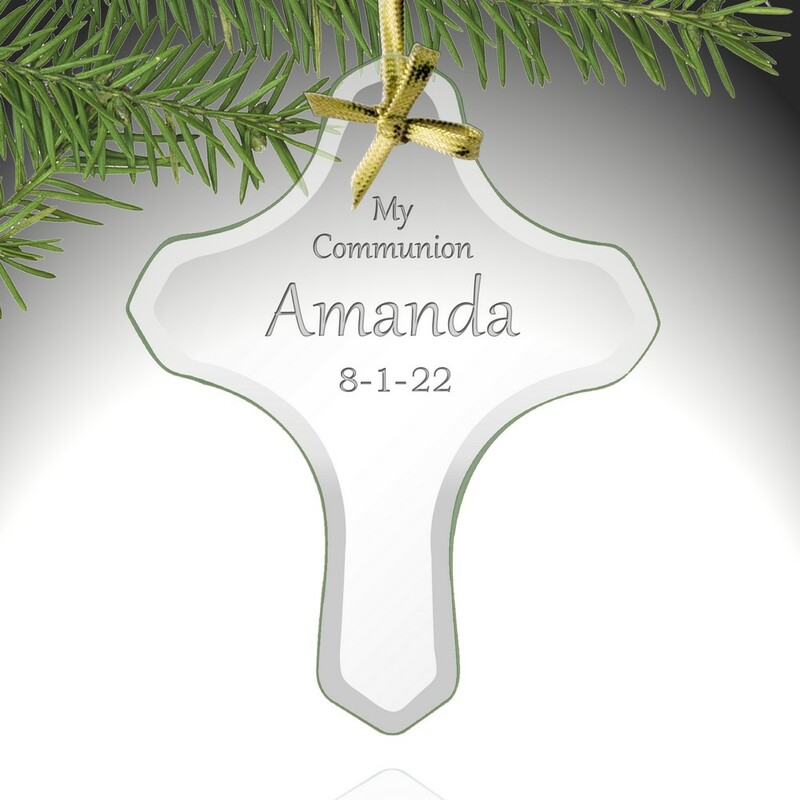 This glass ornament can be made personalized by having the name and date laser engraved on the cross. 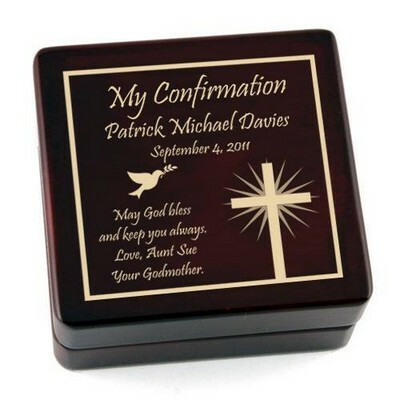 What a unique way to let that courageous young person know how special their commitment is. 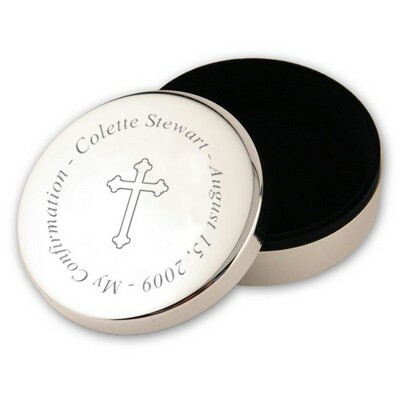 Whether you are a parent, godparent, grandparent, or teacher this is an appropriate gift for first communion that will be well kept forever.